Are you considering filing a consumer proposal or bankruptcy in Barrie? Hoyes, Michalos & Associates Inc. is the largest personal bankruptcy firm in Southern Ontario. We have been helping individuals get out of debt in Barrie and across Ontario since 1999. The sole purpose of our firm is to help you deal with your debt. 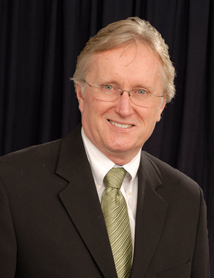 Our personal service begins with our Barrie Licensed Insolvency Trustee, Richard Quinney. Richard is a Chartered Accountant and Licensed Insolvency Trustee with more than 30 years of professional experience. Let us put our experience helping people in Barrie reduce their debt to work for you. Ask us about consumer proposals, bankruptcy, debt consolidation, credit counselling and debt management plans. We can help you find the solution that best suits your individual needs. 140 Dunlop Street East, Suite 205 is located minutes from Highway 400. From Highway 400, get off at either Dunlop Street exit and head East. We are located at 140 Dunlop Street East in Suite 205 – across the street from Macs Milk, just East of Mulcaster Street. Dunlop Street turns into Dunlop Street East after Bayfield Street.